Evicted in 2011 by two different government entities (for a tunnel and an earthquake) from the legendary but dangerously sieve-like Western Building, artist and leaseholder Jane Richlovsky parlayed her relocation funds from the Washington State Department of Transportation into the development of thirteen new studios out of a vacant office space at 1st and Cherry, in the heart of Seattle’s historic Pioneer Square. Several other artists from the Western pooled their benefits to help with remodeling costs, many pitched in with their own labor to finish up the space, and we picked up some additional kindred spirits to flesh out our new community. Dubbed ’57 Biscayne from the only (we think) pop song reference to eminent domain, the studios have been affordable workspace for a variety of artists, including painters, printmakers, photographers, a jeweler, videographer, book designer, clothing designer, and a boutique video game console manufacturer, to name a few. In early 2015, Richlovsky gave a TED talk at Penn State about the need for artists to shake the popular perception of themselves as victims and to do something to prevent their own displacement from the urban centers they helped make “cool” (and expensive). 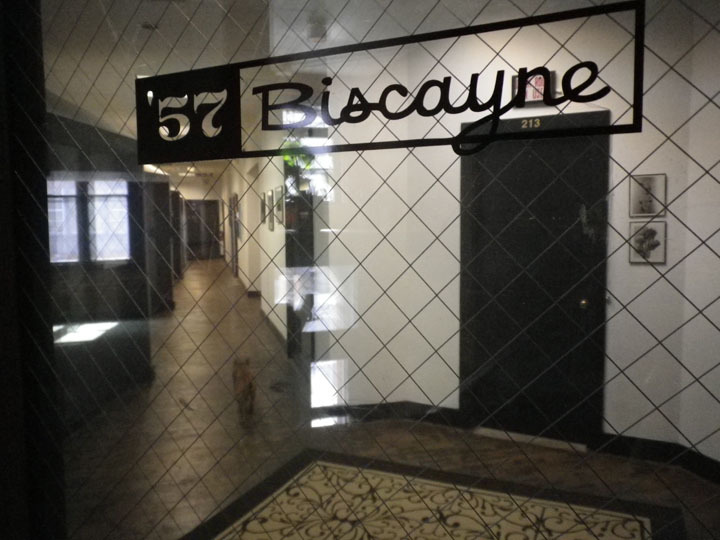 Many more talks, panel discussions, meetings, introductions, and schmoozings later, she found willing partners with common interests to buy the building housing ’57 Biscayne and keep it affordable to the arts for many years to come. More at Good Arts.